Everyone wants the Sorting Hat to place them in the House of Gryffindor. Because, you know, that's the House of Harry Potter himself. Who doesn't want to be on the same team as the big hero? But you're a little different. You're your own person, and a witty, academically-minded intellectual at that. Gryffindor isn't right for you... because you know that Sorting Hat would definitely put you in Ravenclaw. 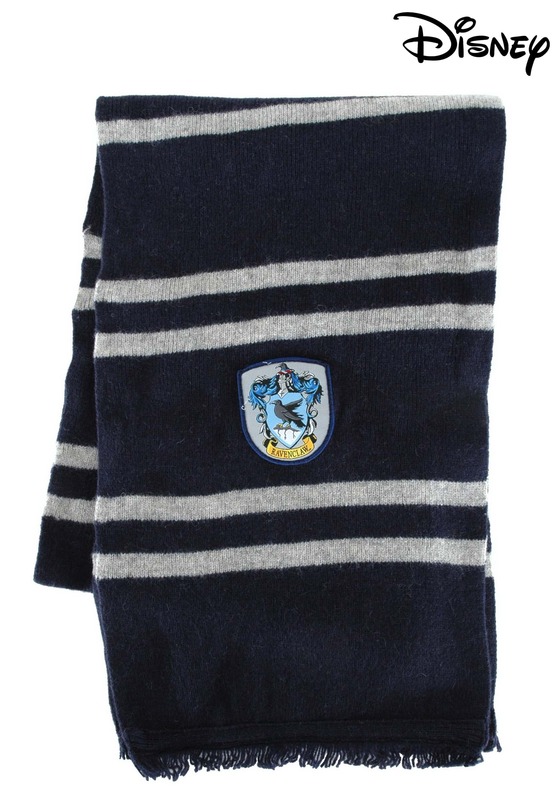 So why not show off your affiliation, and your loyalty, with this officially licensed Ravenclaw Scarf? The House of Ravenclaw is known for placing a high value on "those of wit and learning," and nothing looks smarter than this handsome knitted scarf, with its blue and gray colors and the unmistakable Ravenclaw emblem. But it's not just for looks. Made of 100 percent wool, it'll keep you warm as well. Just don't forget to have a look at our other Ravenclaw accessories so you can rep your house like a proud alum! This scarf is very long and well constructed. I got it for my Halloween costume but have found I am using it through the winter because it is nicer than my other scarves. Would definitely recommend!